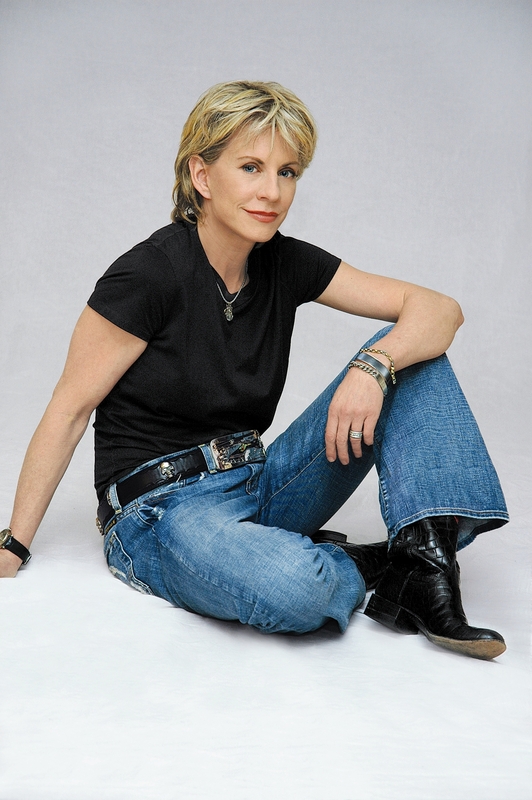 New from Patricia Cornwell - "Port Mortuary"
Patricia Cornwell has been named the world's #1 bestselling crime writer. Cornwell was raised in North Carolina and began working as an investigative reporter at the Charlotte Observer shortly after college. Later she worked as a technical writer for the Office of the Chief Medical Examiner in Richmond, Virginia. In her first crime novel, Postmortem, she introduced Dr. Kay Scarpetta as a Chief Medical Examiner. Cornwell has written a series of bestsellers featuring Kay Scarpetta. Her novels have won worldwide acclaim and numerous awards. In April 2009, Fox acquired the film rights to the Scarpetta novels, featuring Angelina Jolie as Dr.Kay Scarpetta. Cornwell is a founder of the Virginia Institute of Forensic Science and Medicine. She often says, "It is important to me to live in the world I write about. If I want a character to do or know something, I want to do or know the same thing." That's what I call dedication. It certainly seems that Cornwell enjoys the subjects that she writes about. Her writing shows that she is fully engrossed in the characters and stories. Today, Cornwell released her 18th novel, Port Mortuary. It is a fast-paced story that is told from Kay Scarpetta's point of view. The story takes place on the Dover Air Force Base where Scarpetta is working to master the art of CT-assisted virtual autopsy. A murder case emerges that could shut down Scarpetta's work and ruin her career. She works hard to find out the perpetrator before more people die. This novel brings Scarpetta, the main character, together with characters from previous novels. I saw her interview with Robin Roberts on Good Morning America this morning. It sounds like a great book to read this winter. Port Mortuary is available in print and audio at www.thequalitycorner.com. Buy your copy today! At this time of year, many people are cooking more than usual. I love to cook. I cook and bake more often when the weather is cooler. I spent most of the day in the kitchen yesterday. I enjoy trying new recipes and different cookbooks. There are some great cookbooks that were recently released and have already hit the best sellers list. Here are the cookbooks that I currently have in stock at www.thequalitycorner.com along with the publisher's synopsis of each book. After more than a decade spent tracking down some of the world's most flavorful recipes, Florence brings it all back home to celebrate the pleasures of cooking with wholesome, local ingredients. The bestselling cookbook author and star of "Barefoot Contessa" on Food Network, is back with her easiest recipes ever, proving that it doesn't take complicated techniques, special equipment, or stops at more than one grocery store to make wonderful dishes for family and friends. Celebrity chef and star of the Food Network's "Bobby Flay's Throwdown!" shares for the first time the recipes and the fun from his popular show. Includes more than 100 recipes and full-color photos documenting favorite show moments. The #1 "New York Times"-bestselling author of "Deceptively Delicious" returns with more everyday delicious meals featuring a hidden boost of essential nutrients; more fast and easy recipes under 30 minutes; more variety, including whole grains and alternatives to processed sugars and flours; more important nutritional information from Joy Bauer and Lisa Sasson about what kids need to thrive; and more tips from other moms--inside the kitchen and out. All of these cookbooks ship within 1 business day for FREE when purchased at www.thequalitycorner.com! Do You Have "Bieber Fever"? The teenage heartthrob, Justin Bieber, has released a new book. He has become an international sensation. His book discusses his climb to superstardom. Bieber was discovered from a video on YouTube. After meeting with R&B star, Usher, Bieber signed a recording contract. His debut single, "One Time," was released worldwide in 2009 and it topped the charts in over ten countries. Since then, he has had one hit after another. Bieber was born in 1994 in London, Ontario and was raised in Strattford, Ontario. His mother was raising him on her own. She uploaded the videos of Justin singing to YouTube. The rest is history. First Step 2 Forever: My Story is available with FREE shipping within the US at www.thequalitycorner.com. The new memoir from Portia De Rossi is about the actress' struggle with anorexia and bulimia. De Rossi is known for her role in the hit television show, Ally McBeal. She is also known as the wife of comedian Ellen DeGeneres. De Rossi recently appeared on the Oprah show to discuss her new book. She has written a very candid account about how she secretly suffered with eating disorders. She discusses how her experiences in Hollywood shaped her body image. De Rossi is originally from Melbourne, Australia. She began modeling at 12 and by age 15 she began her struggle with anorexia and bulimia. Even though she went through some really rough times, she was able to find her way. Her honest story will help any woman that has ever dealt with a negative body image. It's amazing to me how such a beautiful woman could ever feel ugly. It goes to show how important self-esteem is. We must love ourselves for who we are. We all have to be the best we individually can be. Unbearable Lightness: A Story of Loss and Gain is a best seller at The Quality Corner. Visit www.thequalitycorner.com to purchase your copy of this stirring memoir. New from John Grisham - "The Confession"
John Grisham's latest novel was just released last week. I am so excited. Grisham is my favorite author. I love the twists that he puts into every book. I can't wait to read it. The publisher describes the book this way: "Grisham delivers his most extraordinary legal thriller yet. Filled with his trademark intriguing twists and turns, this newest novel proves that no one keeps readers in suspense like America's favorite storyteller." Here is a brief synopsis of the book: "Travis Boyette happily sat back and watched as Donté Drumm, a local East Texas high school football star, was arrested and convicted of a brutal murder perpetrated by Boyette. Now nine years have passed and Donté is four days away from his execution. Suffering from an inoperable brain tumor, Travis decides to do the right thing — but how can he convince lawyers, judges, and politicians that they're about to execute an innocent man?" It sounds like a real page-turner. I'm sure it won't be long before it's on the top of the best sellers list. The Confession is available with FREE shipping in print and audio at www.thequalitycorner.com. No doubt you have heard of the film Waiting for Superman. Oprah had two shows discussing the film and the issues it raises. Davis Guggenheim, director of the Academy Award-winning, An Inconvenient Truth, takes a deeply personal exploration of the current state of public education in the U.S. and how it is affecting our children. Guggenheim probes into the lives of five unforgettable kids from various backgrounds. This film has sparked a national conversation. After seeing this powerful film, many have chosen to take action to better the education of our young people. The film is currently showing in select theaters. The companion book is on The New York Times Best Sellers list and is available at www.thequalitycorner.com. Click here to purchase a copy of the book Waiting for Superman.